The Chambre Régionale de l’Economie Sociale Provence-Alpes-Côte d’Azur (CRESS-PACA) is a non-profit organization created in 1986 and recognized by the State as public utility. Main activities include promoting social economy and entrepreneurship, observatory, political lobbying, economical studies, social innovation. It has a permanent team of 8 people (director, project managers, administrator) and is otherwise volunteer-run, representing the social economy landsape in the region. Since 1991, Samir Khebizi has devoted himself to both the cultural and socio-cultural domains. He was Coordinator, Director and then non-permanent Teacher in the field of socio-cultural activities. From 1996, he founded and took over management of the association “Les Têtes de l’Art”, a major structure in the Provence-Alpes-Côte-d’Azur (PACA) region in the domain of mediation and support for participatory art initiatives and in consultancy and training of key players linked to this field. Since 2009, he has assisted in initial and continued education programs as a consultant, performer and teacher. 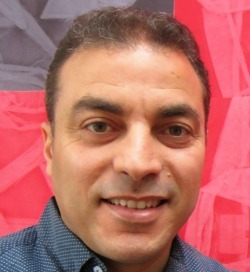 Samir Khebizi graduated with First Class Honours from the “Arts et Métiers” Conservatory in Paris, where he studied to become “Manager of social and cultural structures”.